, Monday, February 13, 2017 — Wellington, FL (February 6, 2017) – Susan Dutta and Dimacci DC took charge of the competition during their recent FEI Prix St. Georges test at the 2017 Adequan® Global Dressage Festival in Wellington, Florida, scoring an impressive 70.526 percent. 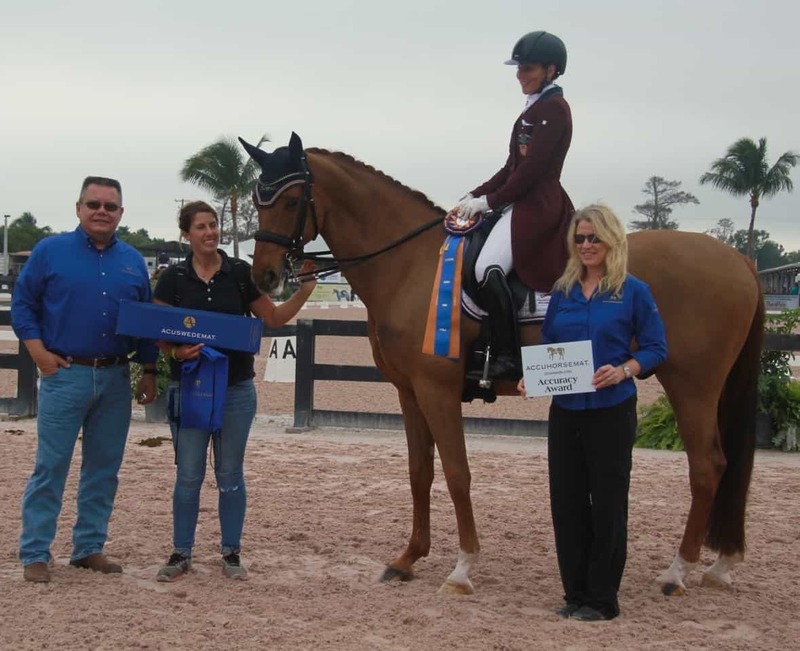 Dutta and her 10-year-old chestnut gelding Dimacci DC, a 16.2-hand Oldenburg by Dimaggio and out of Karubina (by Rubenstein), also garnered the Accuhorsemat Accuracy Award for their precise ride. Both Accuhorsemat and Acuswedemat combine classic acupressure and Swedish innovation into a portable mat that applies pressure to multiple points in the body. Using these products regularly increases circulation and accelerates muscle recovery and healing, as well as activates the body’s natural endorphins to create an overall feeling of well-being.